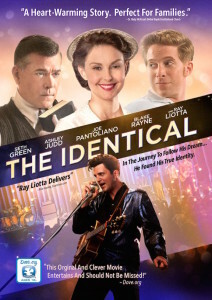 I received a DVD of the movie The Identical, via FlyBy Promotions for the purpose of review. The opinions are my own and are not influenced by any company. 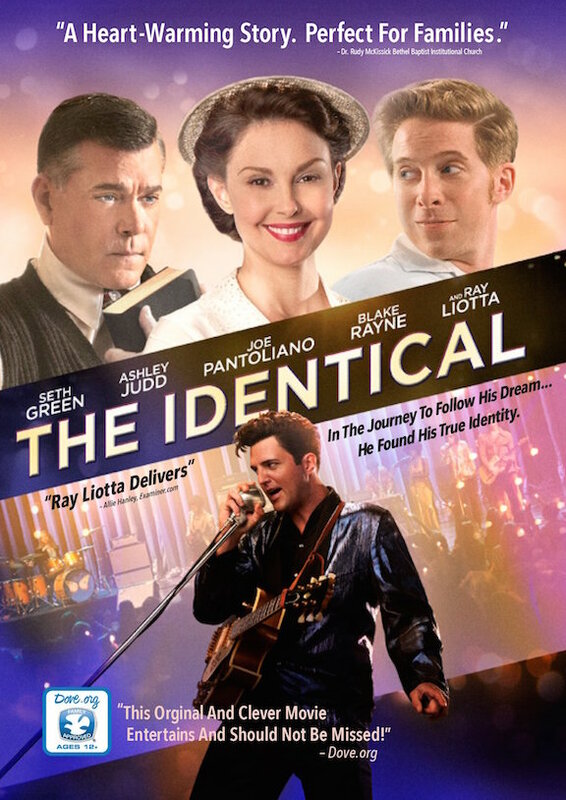 The Identical, Ray Liotta, Ashley Judd, Seth Green, and Blake Rayne is a redemptive movie about a young man, the son of a preacher, who rejects his father’s desire for him to join the ministry and instead embarks on a career as a rock singer. As he struggles to pursue his dream and rise to stardom, he finds love, pain, success, failure and ultimately uncovers a hidden family secret that reveals who he really us. The Identical is a captivating story about a family restored and a life discovered that lifts your soul and warms your heart. Now, I suppose this may be a bit of a spoiler, but since it happens at the beginning of the movie, I don’t feel that bad sharing it with you. A poor young couple gives birth to twins. When a traveling preacher comes through town and shares that his wife and him are unable to have children and have had several miscarriages, the couple makes a tough decision. Deciding that they barely have the means to support themselves, they end up giving one of the boys to the preacher and his wife to raise. Hence the name, The Identical. Get it? See, it’s not that bad of a spoiler. Blake Rayne, the actor playing both of the twins as an adult, has a very Elvis-like look and sound (though they do mention Elvis in the film so he’s not supposed to BE Elvis). I also noticed the similarity in the fact that Elvis himself was actually born a twin. I won’t tell you which is which, but one of the men has great success in the music industry, while the other has the same talent and actually ends up eventually performing as, basically, an impersonator of the other. Of course people always point out the resemblance. The whole movie you keep wondering if they will discover the secret. I won’t tell you that either. I thought it was interesting to see Ray Liotta in the role of the preacher, considering some of the other films he has been in, such as Goodfellas. The movie is definitely family friendly and is rated PG. The music is great as well. The story spans several decades and the music sounds like hit music you would have heard at that time but is actually brand new music written just for the film. The DVD also includes bonus content such as the making of the film, behind the scenes and deleted scenes as well. If I hadn’t watched the bonus features, I wouldn’t have realized that the film is actually a family affair. The director is Dustin Marcellino. His father Yochanan and grandfather Jerry Marcellino co-wrote the songs, and I believe were producers on the film as well. There is also another Marcellino that I saw in the bonus features. I believe he is the brother of Dustin and co-produced as well. Overall, this was a good film. It’s nice to come across a movie with big-name actors that is something you could watch with the entire family and not be embarrassed by anything inappropriate. The acting was believable and the music was very convincing- made you feel like you were really in that time. I do wish somewhat there was a little less of an Elvis similarity. I don’t know, that’s just me. I would definitely recommend the film to others. Also here is the movie’s official website.